Rolls Royce, the uber-luxurious automaker who has referred to its products as motorcars since 1904, is finally going to drop its first true concept car ever this year. According to Autocar, Rolls Royce’s concept car will be called the Grand Sanctuary and will showcase the plans of the future of luxury car interiors—hence the fancy name meaning “nice place”—for Rolls going forward the next 100 years, which is the theme of all of BMW’s Next 100 concepts this year. Earlier today we reported on BMW’s Vision Next 100 concept car, which is the first of four concepts the German brand and its subsidiaries are planning for 2016 to celebrate BMW’s 100th anniversary. Later this year BMW will drop a concept car from Mini, its motorcycle division, and Rolls Royce—the latter of which will be the British luxury automaker’s first ever true concept car. Sure, Rolls Royce has dropped teases of its future models in the past, but those were practically production cars by the time the public got to see them. By the next year the concepts were for sale as nearly-identical production models. This year will be different. 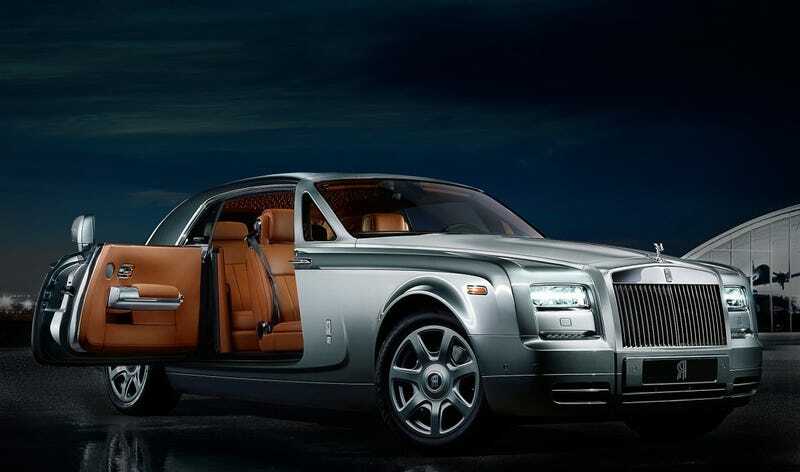 This will be the first opportunity for Rolls Royce to let its thoroughbreds out of the stables, its stylishly-grayed hair down, and come up with something so luxurious, so opulent, and so expensive it will take the next 100 years for them to figure out how to sell it to the one percent among us. So get excited, world. There hasn’t been this much opportunity and excitement at Rolls Royce since the last big NBA pay day. The Grand Sanctuary concept should hopefully be like nothing we’ve ever seen from Rolls in over 100 years. BMW plans to show off whatever Rolls comes up with in June—and don’t worry, it’s almost guaranteed that the concept will bring the bubbly.